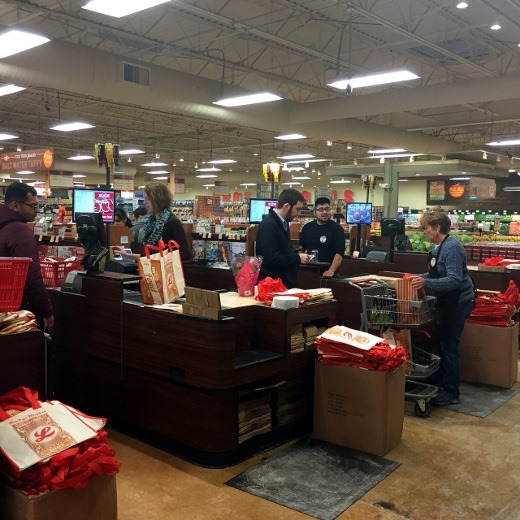 Ann Arbor has a new grocery store in town! 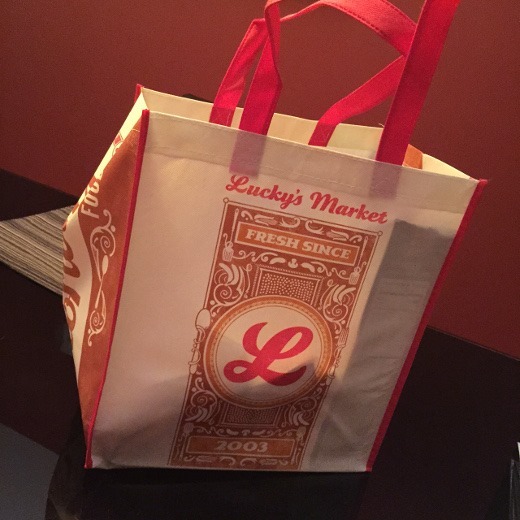 The Grand Opening Day Celebration of Lucky’s Market is this upcoming Wednesday, February 15, 2015 at 10:00 AM; however, I got a sneak peek of the store tonight at their Friends and Family Night. Love my new bag that I got hooked up with! Their location at 1919 S. Industrial Hwy in Ann Arbor previously housed a less-than-stellar Kroger. While I was an undergrad at U-M, the then-fiancé (now huz) and I used to take verrry long walks from our apartment on campus to this Kroger several times per week to get in shape before our wedding. Though we often ended up buying a box of discounted bagels when we got there, so I’m not sure if we ended up having a net calorie loss after all that walking or not. Well, the store is barely recognizable as a Kroger anymore, and looks brand spankin’ shiny and new as Lucky’s Market. The space has a fun, friendly, warm vibe that elevates the shopping experience and makes one want to linger and hang out for a while. 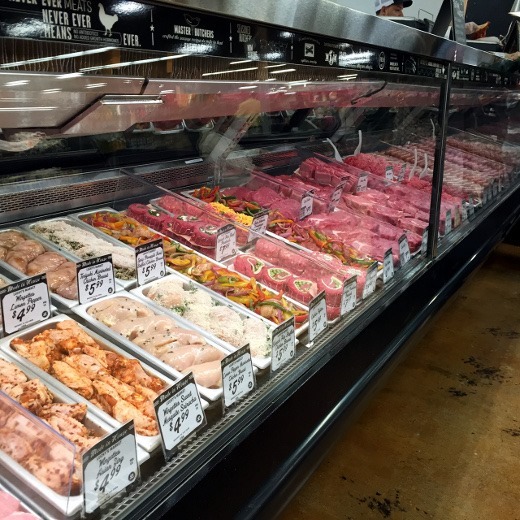 Great looking meat counter with knowledgeable butchers behind the counter to help you out. 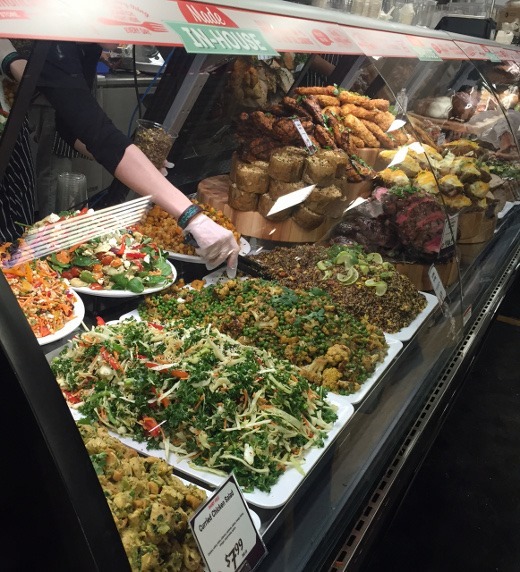 Check out this selection of prepared foods – again, these are all made directly onsite, fresh daily. What a great way to put together an easy, healthy meal for your family on a busy night. I was happy to see that the prices all seemed quite reasonable as well. 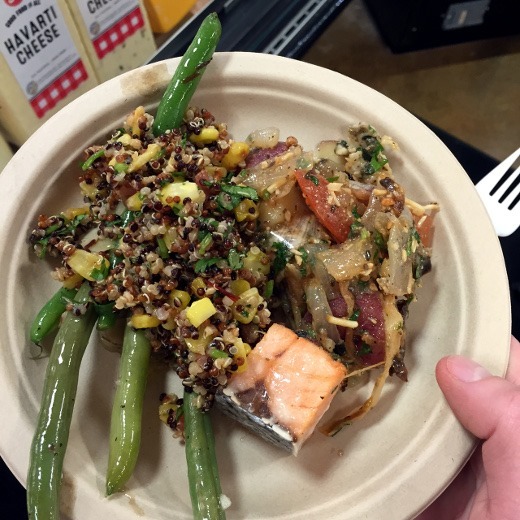 We got a chance to sample several of the foods from the in-house prepared foods selection and they were all top-notch. That chipotle quinoa salad was A+! 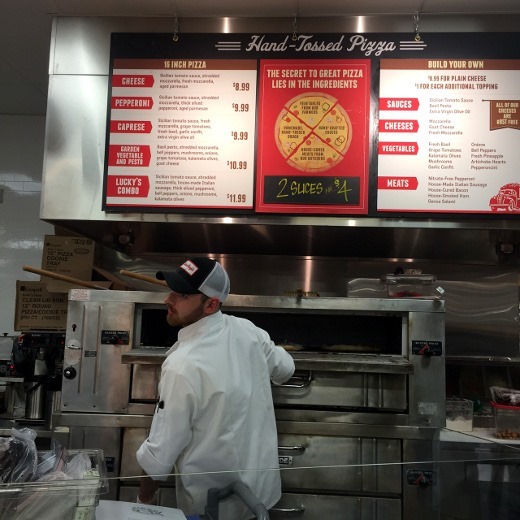 We also got to sample Lucky’s hand-tossed pizza. It was very good. Near the prepared foods, salad bar, and pizza section of the store, is a bar area that will eventually (liquor license pending) have beer on tap that shoppers can enjoy while gathering their groceries – or just come in and hang out for drinks and a meal. Or fill a growler with beer on tap to take home with you! Lucky’s also features a large selection of craft beers (lots of local choices and beer by the bottle) and wines in the store. 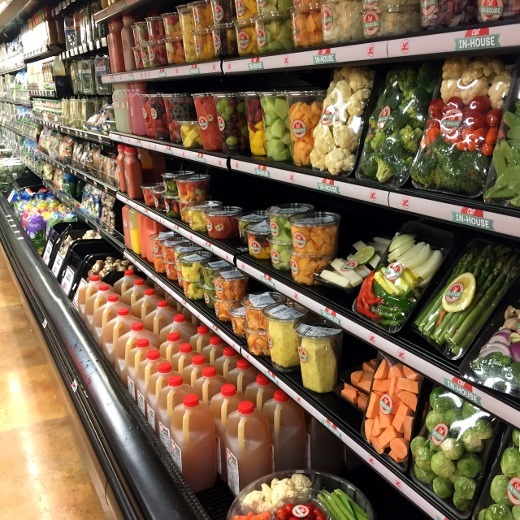 I’m most excited by Lucky’s produce section, but it seems there are great deals to be found throughout the store, plus all sorts of locally-sourced Michigan goodies highlighted in each aisle. 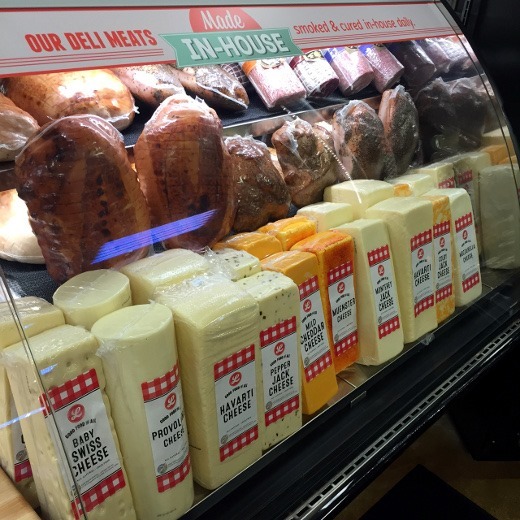 Lucky’s Market strives to offer quality fresh food at prices that are more approachable than some of their grocery store competitors like Whole Foods or Trader Joe’s. I cannot wait to explore more! I already picked up a few goodies tonight and will be back for more. Many thanks to Lucky’s Market for inviting me to their Friends & Family Night sneak peek this evening! 1919 South Industrial Highway (at Stadium Boulevard) in Ann Arbor, MI. Awesome. I couldn’t make it tonight, but got an invite for tomorrow AM! Enjoy! I can’t wait to go back and explore some more. Oh wow, how exciting!! I had no idea the opening was this week. Can’t wait to check it out! « Last weekend was my birthday, yo.